City Tavern Club will host the September 13 town hall. verizon’s photo illustration of proposed Small Cell installation (right side of photo) presented at the September 13 meeting. 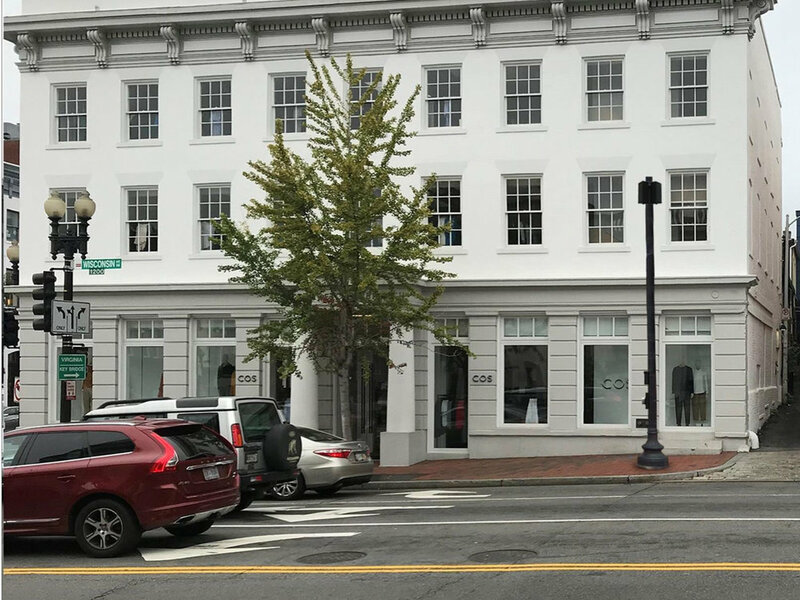 On Thursday, September 13, at 7 pm, Advisory Neighborhood Commission 2E, the Citizens Association of Georgetown, and the Georgetown Business Improvement District will hold a town hall to discuss the DC government's current Small Cell Facilities Project. DC government representatives will give a presentation on the project, including an overview of the implementation timeline, and wireless providers will also be in attendance to answer questions. Ample time will be allotted for questions from attendees. The City Tavern Club, 3206 M Street NW, is hosting the meeting. The project, which is being facilitated by the District Department of Transportation (DDOT), the Office of Public-Private Partnerships (OP3), and the Office of the Chief Technology Officer (OCTO), aims to promote the installation of wireless communications facilities (“small cells”) by wireless providers on poles throughout DC. These small cells will improve the quality of wireless service throughout the District with faster data coverage and capacity and will facilitate the eventual launch of 5G services. Local residents and businesses have conveyed concerns to ANC 2E, CAG, and the Georgetown BID about the effects that the proposed small cells will have on our area. These concerns relate to the distribution density, public health effects, construction and maintenance details, design and appearance specifications, and technical and siting standards of the small cells, among other issues. Questions? Please contact ANC 2E Chair Joe Gibbons (2E02@anc.dc.gov) or ANC 2E Executive Director Peter Sacco (2E@anc.dc.gov). 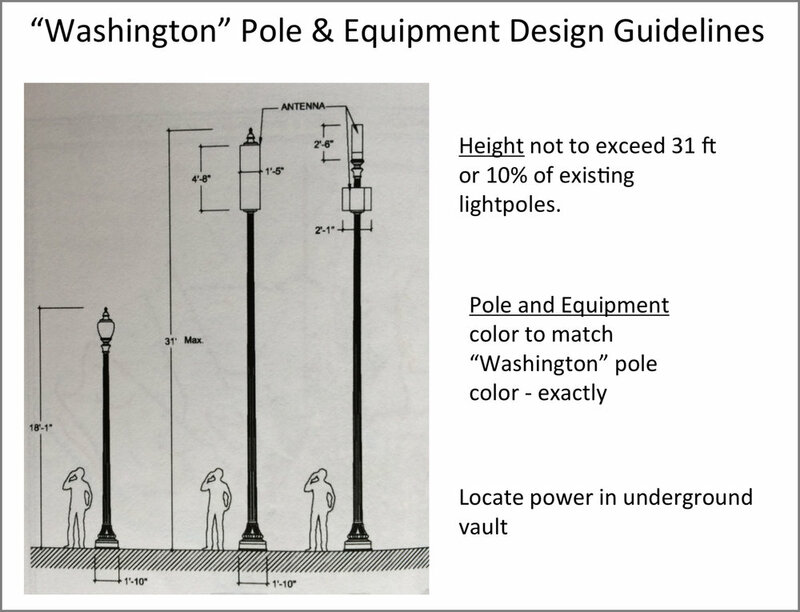 Diagram from Draft Small Cell Design Guidelines.